Heading to MTT-S in Philadelphia? Come see us at Booth 2525! The HMI AND HMC series broadband ferrite junction isolators and circulators are available from 18 – 120 GHz. They utilize a low loss H-plane structure in a modified Y-junction format to provide minimum loss with maximum isolation and band-width. 2 GHz bandwidths with 20 dB of isolation are standard. 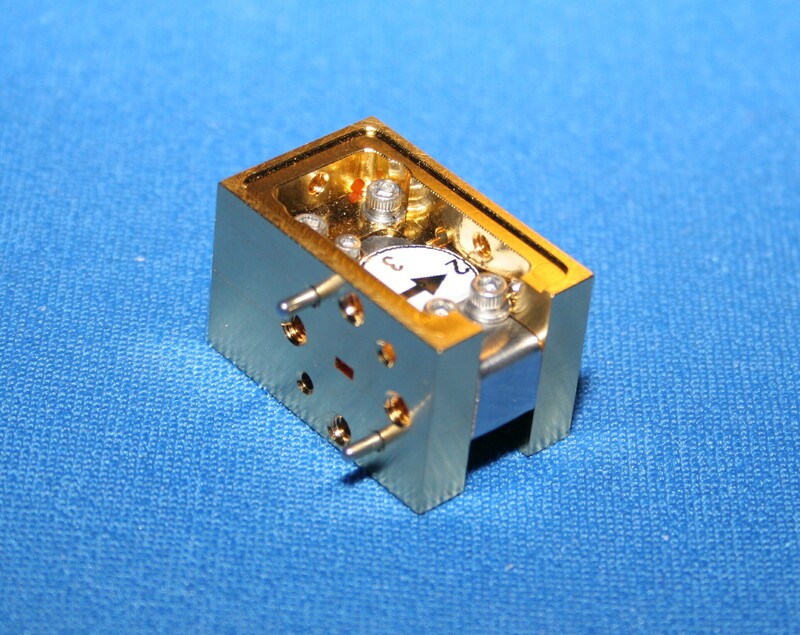 Wider bandwidth, high power handling and magnetic shielding are available in select units. having a single antenna. The in-line port orientation makes the mechanical interface more convenient than standard Y-junction types. Access pockets on the top and bottom allow for blind flange mating.